Mr. Baker was a Walgreens pharmacy manager in Florida. Due to the nature of his work for the company, Baker was in a position to witness the unlawful practices of America’s largest pharmacy retailer. Walgreens offered illegal kickbacks to lure Medicaid-covered patients, while also paying its employees to enroll them in a special discount program, and overcharged government programs for prescription drugs. Baker filed a lawsuit against his former employer in 2012, which led to two settlements, one in 2017 for $50 million and another one in 2019 for $60 million. Dr. David Felton is a former medical director and Vice President of Research with Beaumont Research Institute and Detroit-based Williams Beaumont Hospitals. By allegedly paying illegal kickbacks to physicians to encourage patient referrals, Beaumont allegedly caused the submission of false claims to Medicare and Medicaid programs. Dr. Viran Roger Holden once ran Mercy Clinic’s Oncology Department. He held his position until he was fired after alerting management about inappropriate practices by superiors. Serial offender Mercy Hospitals allegedly compensated physicians for referring patients for Medicare-covered chemotherapy based on a formula which attributed financial value to treatments to be administered by Mercy-controlled facilities. This was a violation of anti-kickback statutes. Elizabeth Corsi was a pharmacist with Omnicare, a leading provider of pharmacy services to long term care facilities. Omnicare used an automated label verification system which allowed the submission of claims, to Medicaid and Medicare, which contained incorrect information that didn't match those that were ultimately dispensed to patients. The automated system was allegedly implemented to increase profits. Christopher Ezzie was a pharmacist with Omnicare, a leading provider of pharmacy services to long term care facilities. Omnicare used an automated label verification system which allowed the submission of claims, to Medicaid and Medicare, which contained incorrect information that didn't match those that were ultimately dispensed to patients. The automated system was allegedly implemented to increase profits. Israeli whistleblower Dani Shemesh was the head of sales at CA Software Israel Ltd., between May 2006 and December 2008. A subsidiary of New York-headquartered CA Inc., the company was under a MAS contract with the General Services Administration, which included a price reduction clause. During his time at the company Shemesh observed that non-government clients were getting better prices from CA than government agencies, sometimes receiving up to 98% discounts which were not reported to the GSA. In a 2009, False Claims Act lawsuit, Shemesh claimed 50-80% discounts were common practice at the company, but this was never disclosed to the government. In March, 2017, a $45 million settlement was reached, and Shemesh received a whistleblower reward of over $10 million. Marketer and sleep technician Elma F. Dresser will receive a $545,000 cash whistleblower award for her whistleblower lawsuit against northern California’s Bay Sleep Clinic, affiliates Qualium Corporation and Amerimed Corporation, and owners and operators Anooshiravan Mostowfipour and Tara Nader. Elma Dresser filed the lawsuit under the qui tam provision of the False Claims Act, alleging Bay Sleep Clinic defrauded Medicare by allowing non-licensed staff to conduct sleep studies and dispense medical devices, offering sleep testing and products at non-approved locations, engaging in self-dealing and paying kickbacks for referrals. Bay Sleep Clinic admits no liability in the $2.6 million settlement. Elma F. Dresser will receive 21% of the government recovery for exposing the fraud. Dr. Bijan Oughatiyan, MD, was a hospitalist (a physician who focuses on hospital services) at North Hollywood-headquartered IPC between 2003 and 2008. He filed a False Claims Act lawsuit after after he left the company, in 2009, accusing IPC of routinely overbilling government health programs. The 49-year-old doctor claimed that the company "trained" and "encouraged" hospitalists in the practice of overbilling. To substantiate his claims, Oughatiyan had been collecting billing records from IPC colleagues. In the light of this evidence, the government saw fit to join the lawsuit and was able to reach a $60 million settlement in February, 2017. Oughatiyan was granted a $11.4 million whistleblower reward. Christopher Wall is an HVAC technician with Baxter Healthcare Corporation, a leading manufacturer of sterile IV drug solutions for U.S. hospitals. By refusing to change moldy HEPA filters on its drug production equipment, Baxter failed to comply with FDA current good manufacturing practices (CGMP), resulting in false claims being submitted to the Department of Veterans’ Affairs and introduction of adulterated drugs into interstate commerce. Medical coder Lucille Abrahamsen is set to receive a million dollar whistle blower bounty based on her whistleblower lawsuit against Hudson Valley Hematology Oncology Associates. Lucille Abrahamsen used the qui tam provision of the False Claims Act (Private citizen whistleblowers) to expose Hudson Valley Hematology Oncology Associates’ illegal conduct in billing Medicare and Medicaid for services not performed, services not medically necessary, and copayments. Hudson Valley admitted wrongdoing in the $5.31 million settlement and Abrahamsen will receive 15 to 25% of the recovery as the insider (medical coder) who exposed the billing schemes. Former Life Care employees Glenda Martin and Tammie Taylor’s whistleblower lawsuit alleging phony Life Care billing to Medicare and TRICARE settled at $145 Million with a $29 Million whistleblower reward to be shared by Tammie Taylor and Glenda Martin. Their whistleblowers’ claim was based on allegations that Life Care skilled nursing facilities systematically billed TRICARE and Medicare for unnecessary rehabilitation services. Life Care operates 200 skilled nursing facilities (SNFs). Tenet Healthcare, recently exposed by whistleblower Ralph Williams, a subsidiary’s CFO, settled Ralph William’s False Claims Act whistleblower lawsuit for $513 million. Ralph Williams’ claims were based on Tenet’s kickback scheme paying referral fees for expectant mother referrals to Tenet medical facilities so Tenet could bill Medicare and Medicaid. The tainted billings and Tenet’s admission of guilt led to the massive False Claims Act settlement and William’s near-record whistleblower award off $84.4 million. Vibra Healthcare former Information Coder Sylvia Daniel used the False Claims Act qui tam, or whistleblower provision, to expose alleged Medicare billing fraud, specifically billing Medicare for providing medical services that were medically unnecessary, a False Claims Act violation. Sylvia Daniel’s whistleblower lawsuit resulted in a $32.6 million settlement by Vibra Healthcare with a $4 million whistleblower award to Sylvia Daniel for her information and help in exposing and stopping the alleged fraud and recovering millions for taxpayers. Information coders blowing the whistle on healthcare fraud using the False Claims Act have become increasingly numerous in recent years due to their inside access to the information underlying Medicare billing schemes. Evercare (Optum Palliative and Hospice Care) Settled Whistleblowers Terry Lee Fowler and Lyssa Towl’s Allegations of Pressuring Physicians and Medicare Fraud in Collecting Medicare Reimbursements for Ineligible Hospice Patients. Optum Palliative (Evercare)’s Whistleblower Lawsuit Ended in $18 Million Settlement with the Dept. of Justice, Whistleblowers Lyssa Towl and Terry Lee Fowler Will Receive Qui Tam Rewards Cumulatively Anticipated in the $3.6 Million Range as Healthcare Whistleblowers (Here Exposing Ineligible Billings re Hospice Care) Typically are Awarded About 20% of the Amount of Recovery in a Qui Tam Lawsuit. Terry Lee Fowler and Lyssa Towl are Former Employees of Optum Palliative and Hospice Care – Evercare. Whistleblower Dr. David Hammett’s False Claims Act lawsuit alleging Lexington Medical Center violated the Stark Law by illegal referral arrangements by physicians settled with the Department of Justice for $17 Million with $4.5 million going to Dr. David Hammett for exposing Lexington Medical Center’s conduct as a whistleblower reward. Lexington Medical Center, as part of the False Claims Act whistleblower lawsuit settlement, enters into a Corporate Integrity Agreement for the alleged Stark Law violations brought to light by David Hammett. Melayna Lokosky filed a False Claims Act whistleblower lawsuit alleging Acclarent, Inc. had violated the FCA by marketing their sinus spacer product for Off-Label uses, i.e. non-FDA approved uses. Acclarent parent Johnson & Johnson settled Melayna Lokosky’s whistleblower suit with the Department of Justice for $18 million, with a $3.5 million reward to Lokosky for exposing the alleged healthcare fraud. Acclarent CEO William Facteau and Patrick Fabianon were convicted of a number of misdemeanors also. Whistleblower Anthony Colangelo & Minburn Technology’s whistle blower (qui tam) lawsuit against competitor En Pointe Gov. Inc., En Pointe Technologies Inc., En Pointe Technologies Sales Inc., Dominguez East Holdings, and Din Global Corp. alleging SBA contract scams and GSA fraud by En Pointe settled with the Department of Justice at $5.8 Million. Anthony Colangelo and Minburn Technology will receive a $1.4 Million whistle blower reward per the terms of the settlement for exposing fraud against the SBA and GSA. Cardiovascular Systems, Inc. employee Travis Tham filed a whistleblower lawsuit as permitted under the U.S. False Claims Act, alleging Cardiovascular Systems Inc. engaged in a kickback scheme intended to motivate physicians to use Cardiovascular Systems Inc.’s products. Travis Tham’s qui tam lawsuit also claimed CSI engaged in off label marketing, also a False Claims Act violation. CSI settled with the Department of Justice for $8 million. Whistleblower Travis Tham is expected to receive a reward between $800,000 and $2 million per the qui tam provision of the False Claims Act. M&T Bank long term employee Keisha Kelschenbach exposed alleged fraud by M&T bank covering misrepresentations and other FHA loan underwriting failures costing the taxpayers millions. M&T settled Kelschenbach’s False Claims Act whistleblower lawsuit for $64 million. Keisha is set to receive between $6 and $19 million as a reward for blowing the whistle on the bank’s alleged failures. Mountain States Contractors’ Employee Ron Meadows Exposed Mountain States’ Scheme that Allegedly Defrauded the Disadvantaged Business Enterprise Program (DBE). Ron Meadows Earned a $500,000 False Claims Act Reward by Filing a False Claims Act Lawsuit which was Settled by the U.S. Department of Justice and Mountain States for $2.5 million. When whistleblowers Marcello Cuellar & Richard Ricks discovered Menlo Logistics and their subcontractor Estes Forwarding Worldwide were allegedly cheating on government contracts they filed a False Claims Act whistleblower lawsuit. Cuellar & Ricks will split a $2.8 million award for reporting fraud in the Defense Department Contract regarding billing for air freight transport while the reality was allegedly truck transport. Dr. Gilbran Ameer reported a Philips Respironics kickback scheme related to the company’s sleep apnea masks. 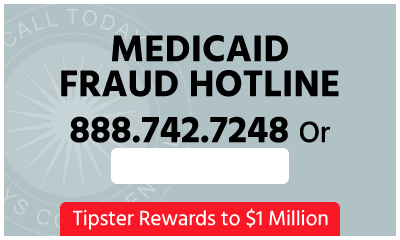 Pharmacist Ameer spotted the scheme and filed a False Claims Act (whistleblower) lawsuit based on violation of the Kickback Statute to recover money for U.S. taxpayers and 29 state Medicaid programs. Philips Respironics settled the allegations for $34.8 million from which Gilbran Ameer was rewarded, as per the False Claims Act whistleblower award provision, $5.38 million for exposing the scheme. Graphite Electrode Earned a $480K Whistleblower Award & Stopped Competitor Ameri-Source from Allegedly Cheating on Customs Duties by Filing a False Claims Act Whistleblower Lawsuit. The Graphite Electrode Action is another in a Series of Cases Where Competitors Use the False Claims Act against Cheating Competitors. The Case Also Spotlights Customs Duty Violators as Legitimate Targets for Whistleblower Claims. Ameri-Source Settled the Claim for $3M and a $250K Criminal Fine for Ameri-Source Owners Ajay Goel & Thomas Diener. Lauren Kieff, an ex AstraZeneca sales rep, used the False Claims Act to file a whistleblower lawsuit to report Wyeth’s healthcare fraud in not honoring best pricing requirement on Medicaid claims. Lauren Kieff is one of two whistleblowers on the $784 million Pfizer Wyeth False Claims Act settlement which nets the 2 whistleblowers $59 million for reporting fraud using the FCA whistleblower provision. Mariela Barnes, former assistant to Dr. David Spellberg, filed a False Claims Lawsuit against Dr. David Spellberg, Naples Urology Associates, a 21st Century Oncology Company, alleging unnecessary and overpriced tests amidst physician kickbacks. As against Dr. David Spellberg the whistleblower lawsuit was settled for $1.5 million with a $200,000 whistleblower award to Mariela Barnes. This was Mariela Barnes’ second settlement and whistleblower award. Whistleblower Mariela Barnes filed a False Claims Act lawsuit and whistleblower award claims against 21st Century Oncology, Dr. Robert Scappa, Dr. David Spellberg, Dr. Steven Paletsky and Dr. Meir Daller. Mariela Barnes alleged 21st Century Oncology falsely billed Medicare for unnecessary tests and violated the Stark and Anti-Kickback laws by self-referring and paying inappropriate incentives. 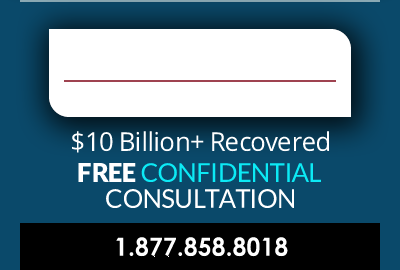 21st Century Oncology settled the Medicare fraud claim for $19.75 million. Mariela Barnes received $3.2 million as a whistleblower reward. Richard Forrest a Pharmasan Labs billing manager, filed a qui tam (whistleblower) lawsuit under the False Claims Act alleging Pharmasan Labs and NeuroScience, Inc. cheated Medicare by billing for ineligible tests, testing not done by licensed physician, and false billing. Richard Forrest’s False Claims Act lawsuit led to an $8.5 million settlemet and a $1.3 million whistleblower award to Pharmasan’s Richard Forrest who blew the whistle on the company's fraudulent activities. Kelly Oxendine, a former employee of Health Corporation of America, filed a False Claims Act whistleblower lawsuit against HCA alleging Medicare healthcare billing fraud. HCA and Kelly Oxendine settled the allegations of False Claims Act violations related to lab tests that weren’t medically necessary and double billing for $2 million. Oxendine received a $400,000 reward as provided in the qui tam provision of the U.S. FCA. Whistleblower David Kester, an ex Novartis sales manager, filed a whistleblower lawsuit under the U.S. False Claims Act in 2011 alleging kickbacks to specialty pharmacies. Novartis settled the allegations for $390 million without admitting liability. David Kester’s portion as a reward has not been determined but is expected to be in the $50 million range for reporting illegal healthcare kickbacks involving Medicare – healthcare fraud by Novartis. Dr. Michael Reilley, a South Florida orthopedic surgeon, filed a whistleblower lawsuit under the federal False Claims Act against Broward Health alleging improper payments to physicians for referrals, a Stark Law (anti-kickback) violation. Broward Health settled the allegations for $69.5 million with Dr. Michael Reilley receiving a $12 million reward for recovering 10’s of millions for taxpayers and spotlighting healthcare fraud. Rose Betts, ex-Guardian Hospice employee, alleged Guardian Hospice pressured employees to recruit hospice patients resulting in Medicare claims for admitted patients who were ineligible for hospice care. Rose Betts’ whistleblower lawsuit filed under the U.S. False Claims Act was settled for $3M by Guardian with no admission of wrongdoing. Betts will share a $510,000 reward with co-relator Jennifer Williams. Former Guardian Hospice employee Jennifer Williams filed a FCA lawsuit against Guardian alleging federal healthcare fraud. A $3 million settlement by Guardian concludes investigation into allegations that the company billed Medicare for patients who were ineligible for hospice care. Jennifer Williams will share a $510,000 reward for reporting health care fraud together with fellow ex-employee Rose Betts. Boeing Company settled James Thomas Webb’s False Claims Act whistleblower lawsuit alleging false labor charges on Boeing’s contracts for C-17 maintenance, at $18,115,000. James Thomas Webb earned a $3,115,000 whistleblower award as provided under the False Claims Act where individuals with inside information on companies cheating on government contracts can file a whistleblower or “qui tam” lawsuit and earn as a reward 10 to 30% of whatever is recovered for the taxpayers. Webb, James. Boeing Company, serial False Claims Act offender. Michael Payne was one of three North Carolina Adventist Hospital employees who filed a whistleblower (qui-tam) lawsuit against Florida-based Adventist Health System alleging Anti-Kickback Statute and False Claims Act violations including illegal physician kickbacks. Adventist Health settled the allegations at $115 million. Michael Payne’s whistle blower award has not been announced. Melissa Church, one of three North Carolina Adventist Hospital employees who joined together to file a whistleblower lawsuit against Adventist and its Florida parent Adventist Health System, will share an as-yet undisclosed multi-million dollar whistle blower reward. Melissa Church’s qui-tam suit alleged illegal physician referral payments. False Claims Act relator and ex-North Carolina Adventist Hospital employee Gloria Pryor, joined with two other employees to file a whistleblower suit alleging healthcare fraud and physician kickbacks by North Carolina Adventist. Adventist settled the U.S False Claims Act allegations for $115 million with another $3 million paid to the States of Florida and North Carolina. Gloria Pryor’s award amount has not been announced but is expected to be her share of the 10 to 30% reward typically paid in False Claims Act cases. Matthew McDonald, a former Walter Investment Management executive filed a whistleblower lawsuit under the qui tam provisions of the U.S. False Claims Act alleging Walter Investment Management (and subs Reverse Mortgage Solutions, REO Management and RMS Asset Management) cheated HUD on interest, referral fees, and phony companies in reverse mortgages for seniors. WIMC settled for $29 million with $5.15 million to whistleblower Matthew McDonald. Linda Anderson, ex-triage nurse for Alive Hospice, filed a healthcare fraud lawsuit against Alive Hospice under the whistleblower provisions of the False Claims Act alleging Alive billed Medicare and TennCare (Medicaid) for patients ineligible for inpatient hospice care. Alive settled the suit for $1.5M with Linda Anderson receiving $260,000 as a cash reward for helping stop the fraud. Blake Percival, a former US Investigation Services (USIS) executive, reported USIS violated the False Claims Act by delivering flawed background checks on government employees. Whistleblower Blake Percival is set to receive 10 to 30% of the $30 million USIS settlement settling the allegations of government contract fraud. Kevin Ryan, a Nuvasive medical device sales rep, reported Medicare fraud by filing a False Claims Act lawsuit as a whistleblower resulting in a $13.5 million healthcare fraud recovery for taxpayers. Nuvasive’s Kevin Ryan nets a $2.2 million reward for reporting the fraud. Dr. Jean Moore, a Missouri pediatrician, filed a False Claims lawsuit against Mercy Health Springfield Communities, alleging Mercy Health committed fraud by offering illegal inducements to Missouri physicians. Jean Moore will collect a $825,000 cash reward as Mercy Health settled claims for $5.5 million. Jeffrey Mills, former DC school district employee filed a whistleblower lawsuit under Washington DC’s False Claims Act claiming food vendor Chartwells cheated the school district. Jeffrey Mills’ whistleblower reward amount wasn’t announced. Mills settled retaliation firing claim for $450,000. Dustin Clyde joined Tyler Jackson in reporting Medicare fraud by their employer Orbit Medical. They sued under the whistleblower provision of the False Claims act and thus were entitled to a rewards, ultimately splitting the $1.5 million reward for blowing the whistle on Orbit Medical. Whistleblower Tyler Jackson reported his employer Orbit Medical for healthcare fraud by suing under the False Claims Act’s whistleblower section. Tyler Jackson’s whistleblower lawsuit alleged Medicare fraud by changing prescriptions and other acts. $1.5 Million reward to Tyler Jackson. UPS employee Robert Fulk was ignored when he asked about UPS concealing failures of its on time guarantees on government deliveries. Sued UPS as a whistleblower under the False Claims Act whistleblower provision. Robert Fulk awarded $3.75 as a reward for helping government recover $25M in UPS False Claims settlement. Whistleblower Shawn Pelletier filed a Florida False Claims Act and U.S. whistleblower lawsuit against Century Ambulance, Baptist Health, Specialty Hospital, Memorial Hospital, Lake City Medical Center, Orange Park Medical Center, and UF Health Jacksonville alleging fraudulent Certificates of Medical Necessity for ambulance services when patients didn’t require them. $1.2M reward to Shawn Pelletier. Kelvin Carlisle filed a False Claims Act whistleblower claim against California Ambulance services E.R. Ambulance, Balboa Ambulance Service, Pacific Ambulance, Bowers Companies, and Care Ambulance Services alleging kickbacks in violation of the Anti-Kickback Statute, an automatic False Claims Act violation. He will receive $1.7 million reward. Pharmacist Jennifer Denk filed a whistleblower suit against Pharmerica, alleging Pharmerica dispensed Schedule II drugs without valid prescriptions on a mass basis. Jennifer Denk’s claim resulted in Pharmerica settling for $31.5 million and the pharmacist receiving a $4.3 million award. Doctor Ajay Galla, along with two other physicians, filed a whistleblower False Claims Act lawsuit alleging Citizens Medical Center violated both the Stark Act (kickbacks) and the False Claims Act (healthcare fraud) by Citizens Medical Center’s making improper payments to doctors. Dr. Ajay Galla will share a $6 million reward for reporting healthcare fraud. Physician Dakshesh-Kumar Parikh’s False Claims Act (whistle blower) lawsuit against Texas-based Citizens Medical Center alleged improper financial payments to doctors, Citizens Medical Center thus violating both the Stark Act and the False Claims Act. Dr. Dakshesh-Kumar Parikh will share a $6 million whistle blower reward for reporting health care fraud. Dr. Harish Chandna filed a whistle blower suit under the qui tam section of the U.S. False Claims Act against Texas based Citizens Medical Center alleging Citizens Medical Center paid improper kickbacks to physicians in violation of the False Claims Act and the Stark Act. Dr. Harish Chandna’s whistle blower lawsuit alleged health care fraud. He will share a $6 million cash reward with two others. Cassie Bass, a Walgreens pharmacy technician, filed a False Claims Act lawsuit against Walgreens alleging inducements for government healthcare program participants to transfer their prescriptions to Walgreens. Cassie Bass’ claim, filed in conjunction with co-whistleblower pharmacist Jack Chin, resulted in Walgreens settling for $7.9 million with a $1.3 Million False Claims Act award to Bass and Jack Chin. Dr. Michael Montejo filed a False Claims Act whistleblower lawsuit against Adventist Health System alleging Adventist Health System failed to provide the supervision of oncology services required by the Department of Defense health system TRICARE and Medicare. Dr. Michael Montejo’s suit alleged healthcare fraud. Office Depot employee David Sherwin filed a whistle blower lawsuit under California’s False Claims Act alleging Office Depot fraudulently overcharged California schools. David Sherwin said the company had guaranteed schools lowest prices when buying through a Government Purchasing Alliance but some schools got extra discounts comprising government procurement fraud. Whistleblower Patrick McKillop shares an $8M whistleblower reward for filing a whistleblower lawsuit on behalf of the United States seeking to recover money from Iron Mountain, alleging fraud in overpricing under Iron Mountain’s government contract. Inside info from Patrick McKillop made a $44.5M settlement possible. Brent Stanley joined Patrick McKillop in a whistleblower lawsuit to blow the whistle on Iron Mountain for allegedly violating best pricing terms of Iron Mountain’s government contract. Brent Stanley will share an $8M reward per the False Claims Act qui tam award provision. Robert Madsen, one of three whistleblowers in the historic Bank of America whistleblower settlement, was an employee of an appraisal company owned by Bank of America. Robert Madsen’s whistleblower lawsuit alleged fraudulent appraisals. Edward O’Donnell, ex Countrywide – Bank of America employee, filed a whistleblower lawsuit that became one of three combined resulting in a $58 million whistleblower award for Edward O’Donnell’s portion of the case against Bank of America – Countrywide. Whistleblower Shareef Abdou was a Countrywide manager, thereafter a Bank of America employee. Shareef Abdou’s complaint alleged that known toxic mortgage loans were sold to Fannie Mae and Freddie Mac by Countrywide – Bank of America. Brian Sant, a former Biotronik, Inc. employee, filed a False Claims Act whistleblower lawsuit claiming that Biotronik, Inc. paid kickbacks to doctors regarding Biotronic pacemakers, defibrillators, and cardiac therapy devices resulting in false Medicare and Medicaid Claims. Brian Sant’s settlement share is $840,000 as a whistleblower on Medicare billing fraud. Josh Hartman, a Virginia guardrail installer, accused Trinity Industries Inc. of redesigning its ET-Plus guardrail piece in a way that rendered them unsafe and making false claims to federal regulators. While serving as ICAP's (Columbia University's International Center for AIDS Care and Treatment Program) finance director, Craig Love reported that millions of dollars were charged in federal grants for work not devoted to the grant's corresponding project. Yue Yu, a former product manager at Biomet, which also operated under the name Biomet Spine & Bone Healing Technologies, reported that false claims were being submitted to Medicare and Medicaid by using illegal kickbacks, including payment to staff in doctors' offices under personal agreements to induce orders of OsteoGen bone growth simulators. While working at Extendicare Health Services, Tracy Lovvorn learned that the company's skilled nursing facilities were providing patients with unnecessary therapy for the sole purpose of receiving higher reimbursements from Medicare. While working as a regional sales rep for M.K. Battery, David McIntosh persuaded the company to alert the army about a design change in a Humvee gun turret that he feared could have fatal consequences for solders in Iraq. When the company would not do so, he called the Defense Department. Jacqueline Bloink, a certified medical reimbursement specialist, worked for Carondelet Health Network for one year. During that time, she found billing discrepancies involving patients enrolled in Medicare, Medicaid, and the Federal Employees Health Benefit Program. A former Samsung employee, Robert Simmons, alerted the US Government that the phones it acquired from Samsung did not meet the necessary US Government policies. The phones that were sold were made in China and the US does not have trade agreements here. Bonnie M. Jimenez, a former employee of OtterBox Products LLC, filed a lawsuit alleging that OtterBox knowingly underpaid customs duties owed to the government on products manufactured overseas and imported for distribution and sales. Peggy Ryan and Max Weathersby, both former Lidoderm sales representatives, along with Gursheel S. Dhillon, a physician filed claims that Endo Health Solutions Inc. and its subsidiary Endo Pharmaceuticals Inc. marketed the prescription drug Lidoderm for uses not approved as safe and effective by the Food and Drug Administration. Mark Kirsch, formerly employed by K-Mart as a pharmacist, blew the whistle on K-Mart, alleging the company was committing Medicare fraud in a whistleblower lawsuit that ended in K-Mart paying $2.55 to settle Mark Kirsch’s allegations with a cash reward to the pharmacist of $309,000. Ex-manager at Baxano Surgical Inc. whistleblower Kevin Ryan was rewarded with $1.02 million for a $6 million False Claims Act settlement. Kevin Ryan had filed a whistleblower lawsuit alleging Baxano fraudulently advised medical providers to falsify codes and diagnoses connected with surgeries performed using a Baxano Surgical device. Physician kickbacks were also alleged in Ryan’s FCA suit. Ellen Momeyer, an ex-employee of Hospice of Arizona, alleged in a qui tam lawsuit that American Hospice Management and Hospice of Arizona made fraudulent claims for Medicare patients who were ineligible for hospice care or billed for a higher reimbursement than allowed. Allegations in Ellen Momeyer’s whistleblower suit were settled for $12 million with Momeyer receiving $1.8 as a reward for reporting the healthcare fraud that resulted in the recovery. John Dickson, CEO of Nation Ford Chemical, used the Whistleblower provision of the U.S. False Claims Act to expose alleged U.S. Customs violations by rival Toyo Ink. John Dickson’s FCA lawsuit alleged a scheme by Toyo Ink to conceal their products’ Country of Origin to avoid paying U.S. Customs duties. Toyo Ink settled with a $45 million payment as a recovery by U.S. taxpayers with a $7.9 million reward to John Dickson for blowing the whistle on competitor Toyo Ink. Susan Hutchinson, a former Orthofix, Inc. manager filed a False Claims Act whistleblower lawsuit wherein Hutchinson alleged Orthofix violated the FCA with physician kickbacks, waived copays, and not disclosing options to rent equipment. Orthofix settled the suit at $30 with Susan Hutchinson earning an $8 million whistleblower reward. Beverly Landis, who was an employee of Hospice Care of Kansas, alleged that Hospice Care of Kansas and Voyager HospiceCare, the parent company, filed fraudulent Medicare claims. Her False Claims Act lawsuit alleged that many hospice patients did not have the six month or less prognosis requirement for Medicare reimbursement. Voyager and Hospice Care of Kansas agreed to a $6.1 million settlement with Beverly Landis receiving $1.6 million for reporting healthcare fraud. Cheryl Eckard was a quality assurance manager working for the London-based drug manufacturer, SmithKline. She noticed a Puerto Rican facility was violating FDA current good manufacturing practices (CGMP) in its production of Paxil CR, Avandamet, Kytril and Bactroban. Glaxo’s failure to comply with FDA current good manufacturing practices resulted in submission of false claims to government health care programs and criminal introduction of adulterated drugs into interstate commerce. Between 2007 and 2011, MedImmune teamed up with Trinity Homecare LLC to implement an alleged kickback scheme. MedImmune used it to obtain sensitive information about patients, which would enable it to boost sales of Synagis, a pediatric drug used to treat a rare lung condition. In her 2009, Vierczhalek, a pediatrician, filed a False Claims Act lawsuit alleging that Trinity Homecare LLC had used her medical credentials on Synagis prescriptions, which she had never approved. Although Trinity has settled, the lawsuit against MedImmune, which has been joined by the State of New York, is still in progress.